Looking for a career that will enrich your life as well as the lives of those you serve? If you have a passion for connecting with and helping others, a career in caring just might be your calling. At Midnight Sun Home Care, we hire care team members who are honest, hard-working, positive, attentive, professional, compassionate, and spirited. We are an elite team whose common goal is to form relationships with clients and family members to guide the care and services they receive. All applicants must undergo an extensive background check, as well as a thorough interview and screening process. All caregivers are employed directly by our agency, and are insured and bonded to ensure the safety and security of our clients. Once hired, all Midnight Sun Home Care caregivers are required to obtain Certified Companion Aide (CCA) certification. This national program covers 19 topics designed to assist caregivers in honing their specialized skills as providers of in-home services to senior clients. 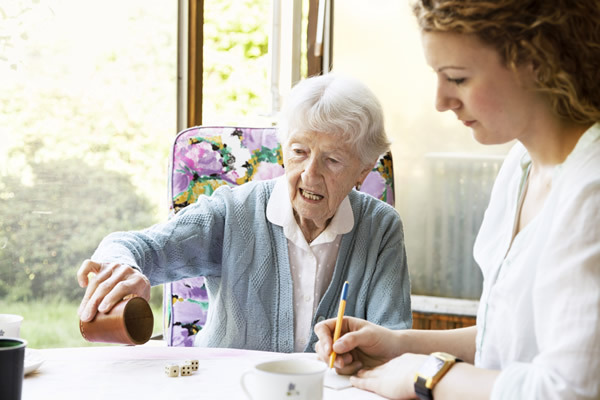 Midnight Sun Home Care also values continuing education for in-home care personal assistants so that they can stay abreast of current issues affecting our aging friends and families. Because of this, we provide our caregivers with a one-of-a-kind training program developed in cooperation with nationally recognized home care training experts. Interested in Becoming One of Our Anchorage-area Caregivers? If you are interested in helping seniors at home Anchorage AK, then consider becoming a member of Midnight Sun’s in-home care team. Please click here or the button below to fill out our online application. Also, be sure to review our Services page for details on in-home Personal Care Assistant (PCA) responsibilities.